As the Episcopal branch of the Christian faith, we believe in extending the love of God to all. In fact, that’s what we’re trying to become: the shape God’s love takes in the world. Our mission is to be an open and inclusive community that reaches out to the last, the least, the lost, and the left behind. We’re following Jesus into a loving, liberating and life-giving relationship with God, each other and the Earth. We do this by offering spiritual education to form inquiring disciples of all ages through beautiful services, fellowship, and loving community service. Want to visit but not sure where to begin? The Episcopal community is made up of a diverse group of people from all kinds of backgrounds and traditions. We are here to welcome you. We've put together a short list of what to expect as well as answers to common questions in hopes your visit will be more comfortable. 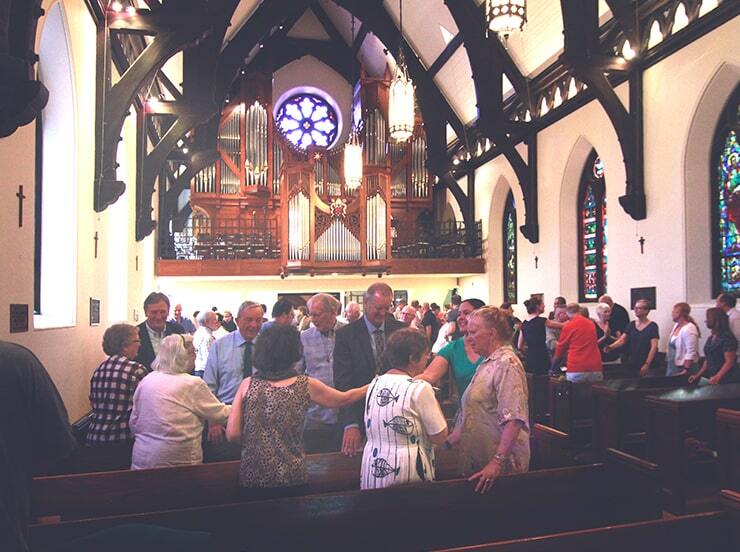 Are you a veteran Episcopalian looking for your next church home in Salt Lake City? We hope you will join us at the Cathedral Church of St. Mark. St. Mark's offers a host of services, activities, and spiritual formation that will enrich your life and strengthen your faith in Jesus Christ. Whether it's spiritual formation classes, one of our reading groups, the choir, or serving at Hildegarde’s Food Pantry, you are most welcome. Please join us! Join us for Holy Eucharist on Sunday morning, during the week, or just stop by for a self-guided tour of our historic cathedral. Please join us for our services during Holy Week and Easter (April 14-21). Join us at our 10:30 AM worship service for a celebration of the Feast of St. Mark, with hymn requests in place of a sermon.